Da Camera Young Artists perform a concert inspired by Guyana-born British artist Frank Bowling’s monumental map painting Middle Passage (1970), which has been in the institution’s permanent collection since the early 1970s but has never before been displayed. Stop, Look and Listen! 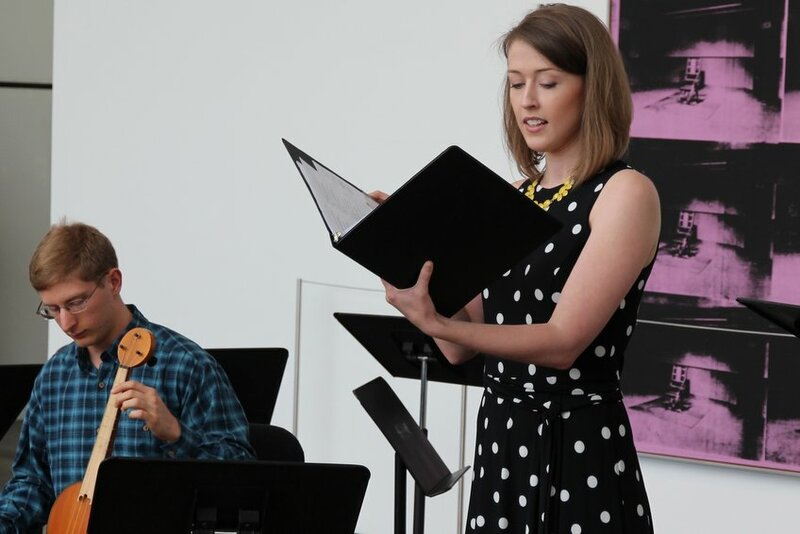 is a series of free chamber music and jazz concerts presented in one of Houston’s most inspiring and stimulating environments, the world-renowned Menil Collection. These museum concerts feature unconventional, interactive concert formats and fun, adventurous musical selections. The programs are often designed to celebrate specific art works on display in the museum. Admission to The Menil Collection is always free. Register for Event: Stop, Look and Listen! Free parking in The Menil Collection’s lot on West Alabama, between Mandell and Mulberry. Street parking around the museum.